Apple continues to outpace its Silicon Valley brethren when it comes to making environmentally conscious choices for its expanding datacenter footprint, according to Greenpeace's annual cloud computing report. For the second year in a row, Apple booked a perfect 100 on Greenpeace's clean energy index. The company was given "A" ratings across the board for energy transparency, renewable energy commitment and siting policy, energy efficiency and mitigation, and renewable energy deployment and advocacy. Second-place Yahoo scored 73, while no other company broke 50. "Apple continues to lead the charge in powering its corner of the internet with renewable energy even as it continues to rapidly expand," the report reads. "All three of its data center expansions announced in the past year will be powered with renewable energy. Apple is also having a positive impact on pushing major colocation providers to help it maintain progress toward its 100% renewable energy goal." Greenpeace is particularly taken with Apple's approach to bypassing stubborn utility operators by building its own renewable energy facilities. 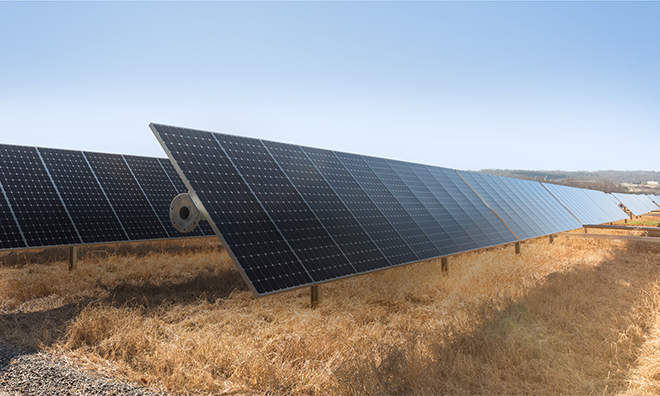 Apple has built numerous solar farms adjacent to its datacenters and also invested in hydroelectric power projects and fuel cell installations. "Apple has led the charge in deploying on-site or nearby renewable energy investments," Greenpeace said. This is an important step, as such actions "send an unambiguous signal to power companies that they risk losing their customers' money if they do not respond to their demands, giving teeth to customers' demands for a greener offering." Earlier this year, Apple announced that all of its U.S. operations and 87 percent of its international footprint is now powered by renewable energy, with plans to reach 100 percent in the near future. The company has also expanded its environmental initiatives to include resource management, purchasing tens of thousands of acres of working forests in the U.S. and China.